Word tracking spreadsheets for National Novel Writing Month 2018. 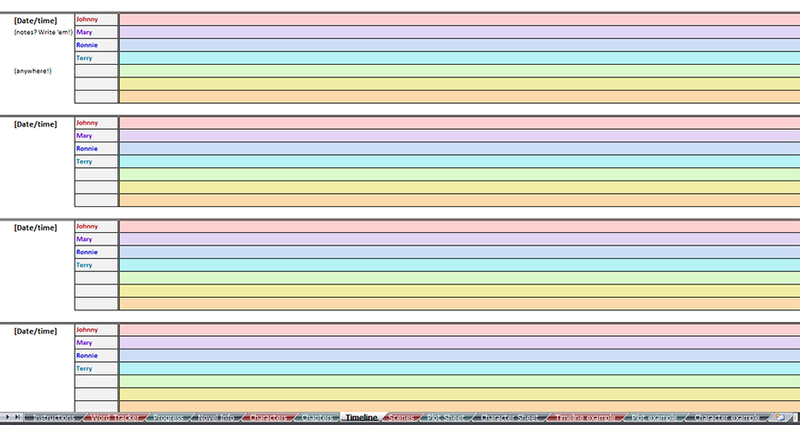 Every file contains a word tracker as well as additional sheets for plotting, character development, timeline, and keeping track of your progress, chapters, story, and characters. Sample screenshots are further down this page. There are a ton of different designs, and instructions are included. They’re free to use and share – you can just put in “0” in the price field if you don’t want to pay and you won’t be asked for any payment info! If you want to give back, please consider checking out my art shop or sharing the link to this page with others who might be interested. You can also make a donation using the links at the bottom of the page! Click on the preview images to download each sheet! 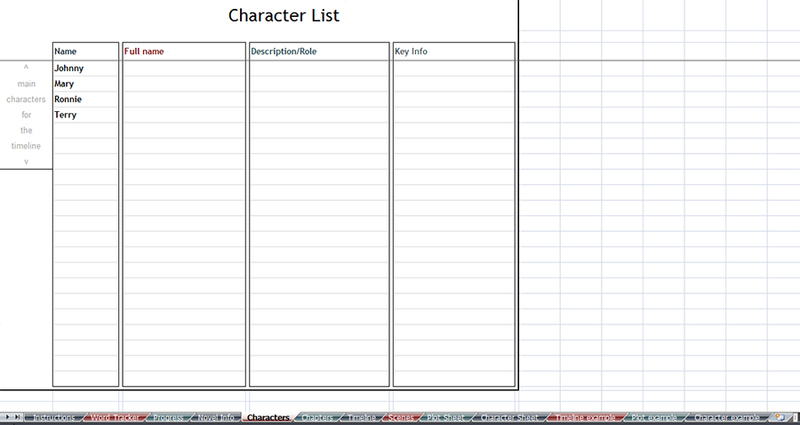 There’s also one spreadsheet that lets you fill in your total wordcount and calculates your daily amount etc from that, but I only made that in one design. If you want it in a different design, you can always adapt one of the others. I do take requests for custom designs. But every hour I spend on these is an hour I should really be spending on my actual work, so I give preference to folks who donate. Either way, though, request away! I’m getting a “drawing conversion failed” error and the images aren’t showing up! There are two versions of each tracker; try the .xlsx file, that should work. I’ve found a bug in the code. Please contact me and I’ll fix it! Can you make a version that’ll work on a Mac? No. Though I’ve been told, by people who own Macs, that these do work on a Mac. I don’t know how to use Excel. I edited stuff I shouldn’t have and now it’s broken, help! Can you make a version that people can view my blog? It’s an Excel file, so that won’t work. You can always upload it to Google Docs and link to it, or post screenshots. 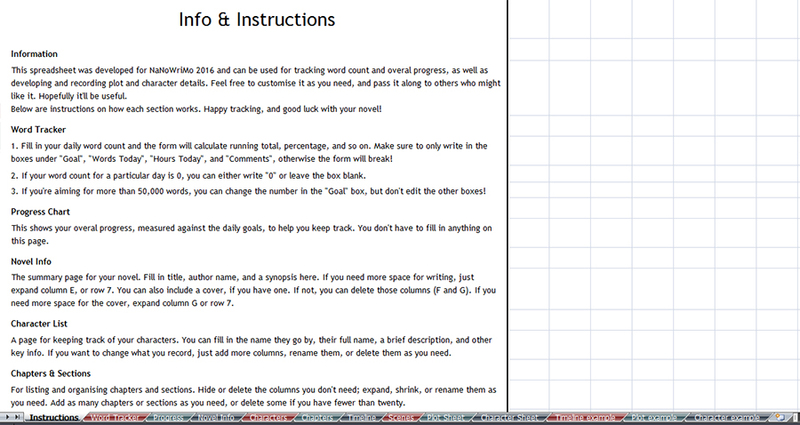 If you’re looking for a year-round tracker, check out the year-round word trackers. If you’re looking to track a project over a different month, or several months, try the project word tracker. Follow me on Twitter for updates about spreadsheets, other resources, and my art! If you’d like to donate to help out with running costs of this site, you can donate to my tip jar, or directly to my PayPal. Every little helps, literally – thank you very much! Hi! 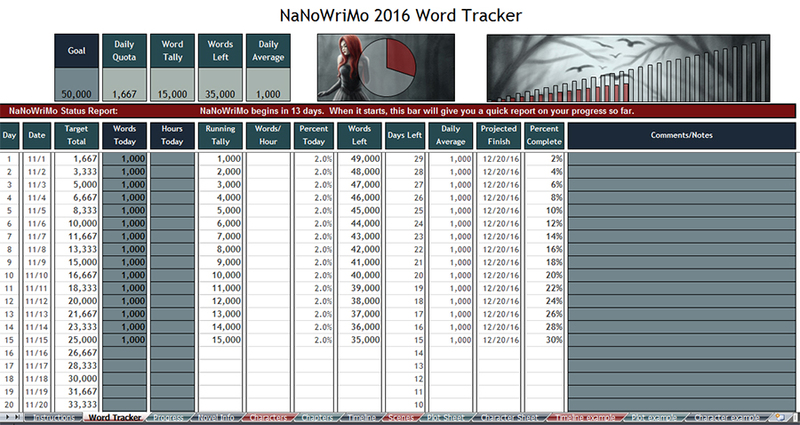 Just wanted to say that you’ve done an excellent job with the word tracker spreadsheet; it’s my first year doing NaNoWriMo, and I like to plan and structure my writing days – so thank you so so much for creating it! I’ve been doing something similar in Excel for my story, but yours is much more detailed and appealing, and I can’t wait to use it in November. Oooh, good luck in your first year, I hope you enjoy it! :D And I’m glad that you like these, I hope it’ll help. :) Thank you! I’m glad they’re useful! Thanks very much! And hey, had to have Loki, right? He’s important! Thank you for creating these! I love using them for NaNoWriMo. It is great motivation! Thank you, I’m glad to hear that and grateful for the support! <3 Good luck with NaNo, I hope you have a great month! Yes! I am doing the happy dance in my desk chair. 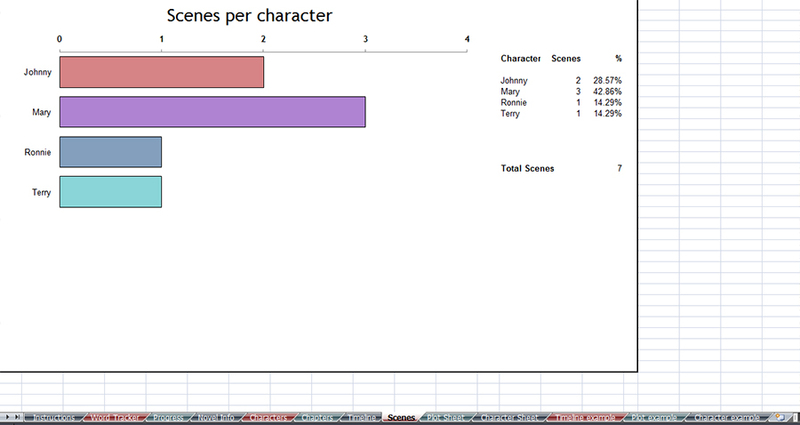 I now have a word count tracker with my absolute favorite piece of fanart of the Winter Soldier! Thank you so much!!! I bought a print of that portrait. 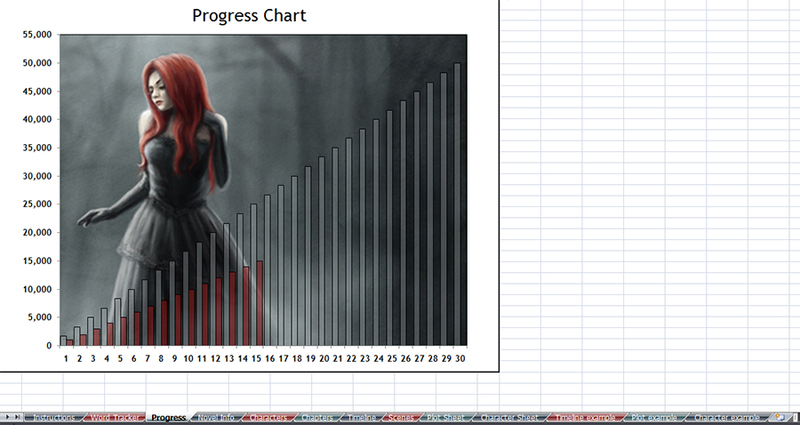 My reward for completing NaNoWriMo is to frame it right away. 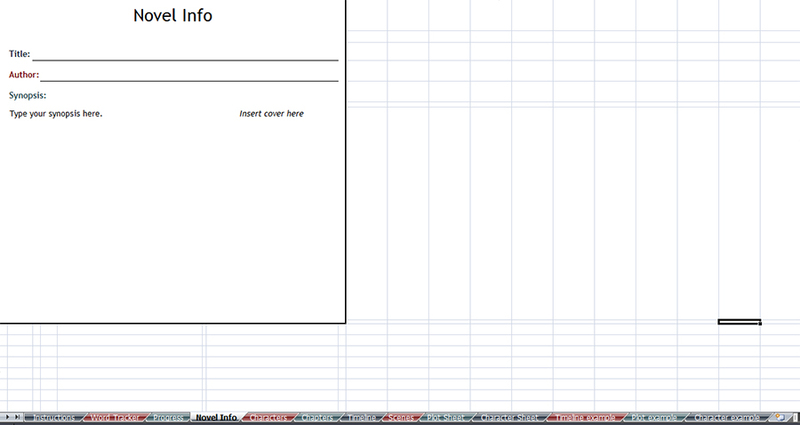 despite her comments above – for folks using MacOS and MS Office, the sheet and macros seem to work quite well. Hi, just wanted to drop in and say I’ve used these spreadsheets for years. They get me through NaNo and I think they’re fantastic! 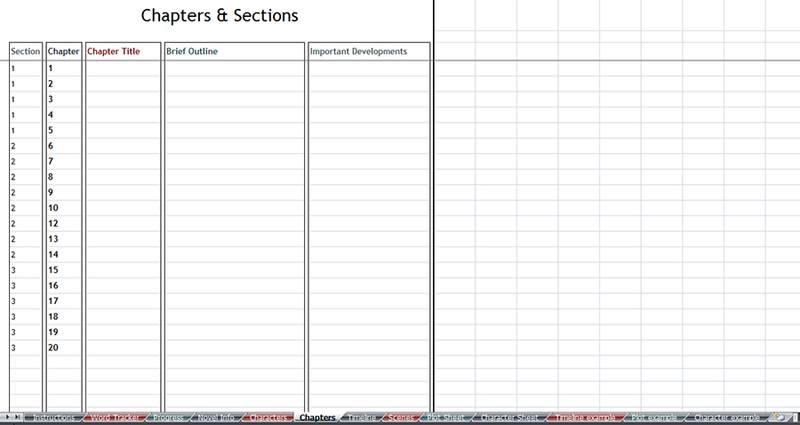 Love your spreadsheets. I’ve been using them for a few years now. 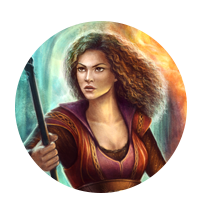 They’re so pretty, and the art is fantastic. Thank you so much for sharing them all with us! Pingback: Pretober Wrap-up and NaNoWriMo Day 1 – love each other or perish. 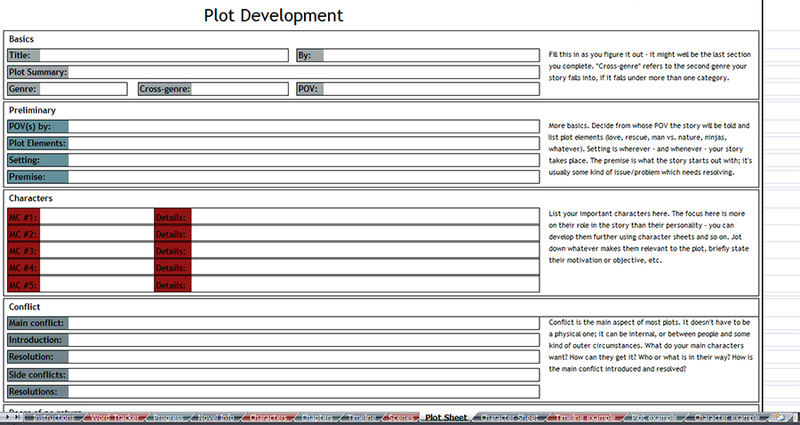 With NaNoWriMo coming to a close, I went googling for a Word plugin that’d keep track of wordcount as the NaNo site does. I stumbled onto your page, downloaded one of your spreadsheets for free from Gumroad, and upon trying it out… Figured I’d give you a thank you through here on top of a small donation. 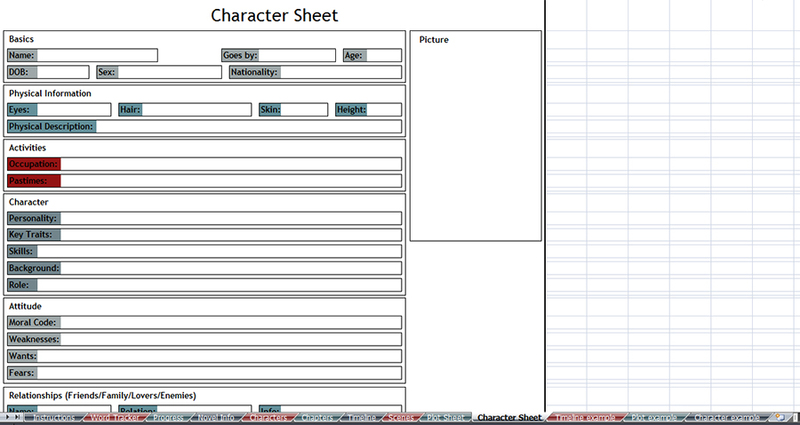 Really awesomely made spreadsheet. I’ve already adapted it to my needs and am looking forward to using it.